You are at:Home»Caught In The Act»FIGHT AT SERANGGON ROAD. TEKKA. CHILL GUYS!! 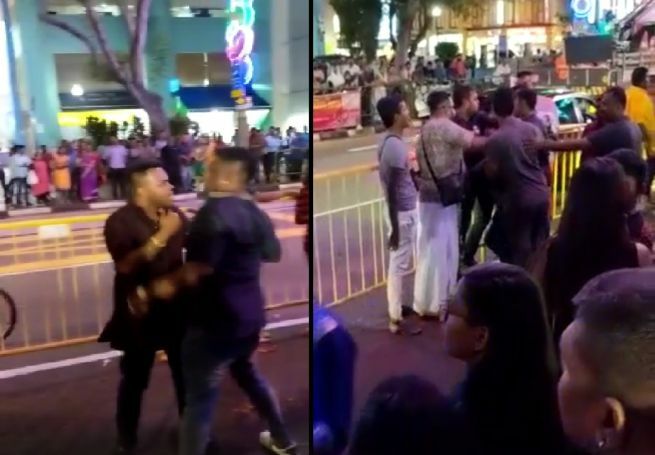 A netizen sends in a video of what appears to be a fight that happened along Serangoon Rd, Tekka. The dispute happened on the 21st of Jan 2019. What do youg guys think? Previous ArticleSIMEI UNIT SPLASHED PAINT LOCKED WITH BICYCLE LOCK. ARRESTED!